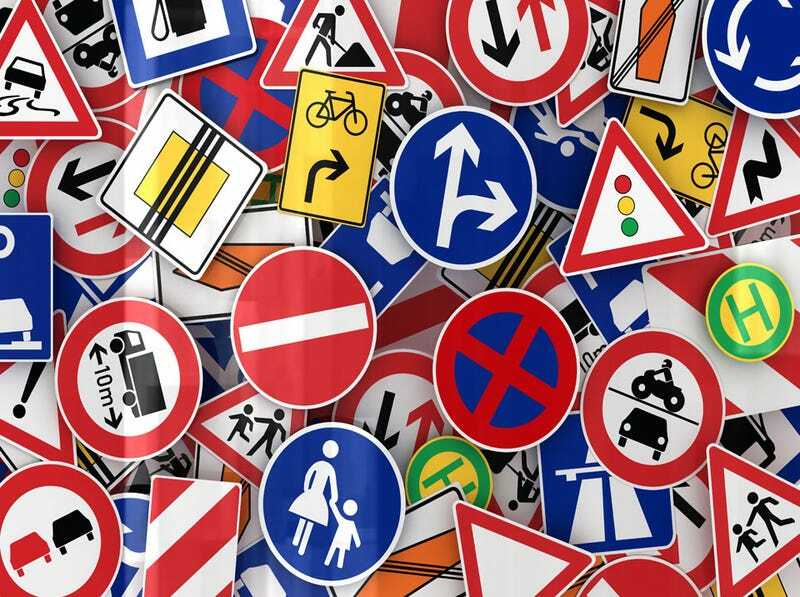 What are the most commonly broken traffic laws? While traffic laws are generally meant to prevent traffic from descending into utter chaos, some of them get more respect than others. Let's try to list the ones that are being broken more often than not. Obviously. While I can't say that speed limits are utterly disragrded, the vast majority people seem to follow the informal +10 kph rule, where it's perfectly OK to drive 10 kph faster than the posted limits. The police don't usually bother with stopping people who don't exceed the limit by at least a bit more than that, and the speed cameras are set to have a 10 kph tolerance anyway. While this phenomenon may not be an entirely bad thing, it still involves breaching the traffic rules. Again, I don't think anyone can disagree that it's very common to see someone driving while they're on the phone. While I'm happy to report that texting or updating social media from behind the wheel doesn't seem to be a widespread issue where I live, it seems to be quite common in some other countries. Taking a call (especially an urgent one) I can understand. While it may not be all that smart and definitely serves to dramatically lower the standard of driving of that particular person I personally don't see it as something all that terrible. Texting on the other hand is a completely different animal. It seems to me like it's one of the stupidest things you can possibly do while driving without actively being malicious or suicidal. I have absolutely no sympathy for people who do it. In my country turning right on red is permitted wherever you see a green arrow like the one depicted above. The green arrow comes on at certain tymes within the traffic lights cycle to conditionally permit drivers to turn right during a red light. Drivers who want to take advantage of the arrow are supposed to come to a complete stop before the lights (as if they were a stop sign), yield to any pedestrians and then drive past the lights. There they have to give way to any cars who may have a green light at the time and finally turn if there is an opening. The problem is that I seem to be the only person in the entire country who actually performs the initial stop. Everyone else seems to just blast past the lights and only stop to give way to other cars if there are any. This makes the required stop quite dangerous since other drivers don't expect it. Around here they seem to be quite often regarded as 'roll through signs'. Where I live whenever somebody parks on a sidewalk they're required to leave at least 1.5 m of the sidewalk unblocked. This is to make sure that larger objects like prams or wheelchairs are able to comfortably get through. Unfortunetely, it's very common to see cars left in a way that will prevent this from happening. There is a staggering number of ways in which those laws are commonly broken. To begin with I'll mention people coming from abroad (mostly from Russia, Belarus, and Ukraine) who don't know about the fact that my country requires drivers to have their lights on at all times. The same people seem to also have a weird fondness for turning their foglights on when it gets dark. Perhaps they think it looks cool. Then there are idiots whose lights seem to be adjusted in a way more suitable for blinding UFOs than illuminating the road ahead. It's especially exhiliating when you get stuck in front of a person like that for a longer period of time. Also, a honourable mention goes to idiots who illegaly convert their headlights to xenons. According to EU law all cars with HID headlights must have appropriately certified light units, headlight washers, and automatic leveling systems to prevent dazzling other drivers. People who used a 30 dollar Chinese conversion kit they bought online have none of those and boy is it easy to notice when you're driving at night. And I don't even want to talk about people who turn on their foglights at the slightest hint of decreased visibility. While not indicating is not as common (at least here) as some people will lead you to believe, popping a blinker on is such a simple thing that I'm baffled why doesn't everybody do it whenever they should. What do you think is the most commonly broken rule of the road? Can you think of others that get little respect?